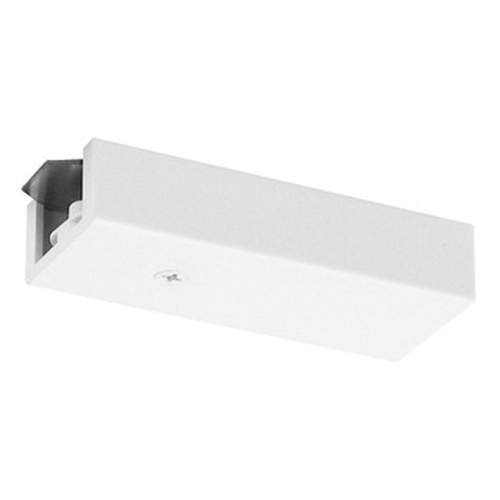 Juno Lighting Trac 12/25™ Collection End feed connector in white color, features polycarbonate construction. It is suitable to use with Trac 12/25™ low voltage track system. It has a dimension of 3-7/16-Inch x 1-3/8-Inch x 11/16-Inch. This connector rated at 12/24-Volts, allows trac to be fed via remote transformer from top. It includes terminal block connector, mounting plate and cover. Connector is UL listed and CSA certified.